LONDON (AP) — A truth and reconciliation program is the “only way” to rid cycling of performance-enhancing drugs, and the sport’s governing body should have no role in the process, Lance Armstrong said in an interview with a British publication. Cyclingnews on Wednesday published questions and answers it exchanged with Armstrong through emails and texts. In an interview two weeks ago with Oprah Winfrey, the cyclist acknowledged for the first time that he doped to win a record seven Tour de France titles. Armstrong said no generation was ever “clean,” and the best way forward is a truth and reconciliation process offering amnesty to riders and officials who detail doping in the sport. “It’s not the best way, it’s the only way,” he said. “As much as I’m the eye of the storm this is not about one man, one team, one director. This is about cycling and to be frank it’s about all endurance sports. In his interview with Winfrey, Armstrong said he would be willing to take part in any truth and reconciliation process. He told Cyclingnews the program should be run by the World Anti-Doping Agency and not the U.S. Anti-Doping Agency, the body which produced a scathing report detailing systematic doping by Armstrong and his teams. The USADA report led to Armstrong being stripped of his seven Tour titles and banned from elite sport for life. He also insisted that international cycling body UCI and its president, Pat McQuaid, should not be involved. 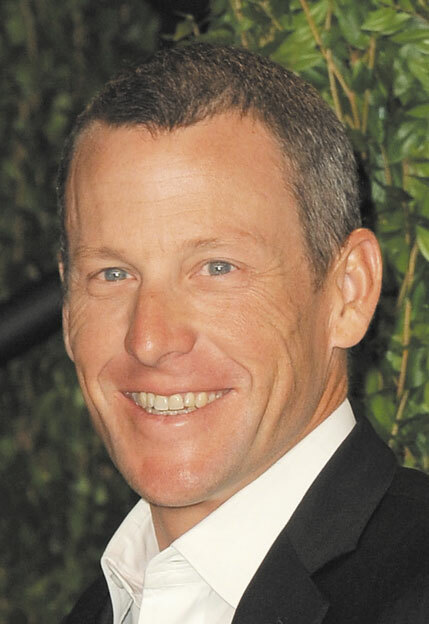 “The UCI has no place at the table,” Armstrong said. He called McQuaid “pathetic” and said he was only interested in protecting himself. The UCI and WADA have been engaged in a war of words over how to deal with the fallout from the Armstrong scandal. WADA called the UCI “deceitful” Tuesday for shutting down its independent doping panel and said it won’t participate in an amnesty commission set up by the cycling body. The UCI independent panel was created to look into claims in the USADA report that cycling leaders helped cover up Armstrong’s suspicious doping tests and improperly accepted $125,000 in donations from him. In the Cyclingnews interview, Armstrong said a truth and reconciliation commission should provide a complete amnesty. Asked if he hopes to get his life ban reduced if he testifies to WADA, Armstrong said that was irrelevant. Armstrong was asked about USADA chief executive Travis Tygart’s statements that the rider was only hoping to restore his eligibility. “That was Travis’ stunt to make me look self-serving,” Armstrong said, reiterating his claim that it was unfair that riders who testified against him received reduced sanctions while he was given a life ban. Armstrong was asked whether he protected Italian doctor Michele Ferrari in his confession. Ferrari, who has been accused of masterminding Armstrong’s doping regimen, has also been banned for life from the sport. Asked when he realized that doping was rife in cycling, Armstrong said his generation was no different than any others. “The ‘help’ has evolved over the years but the fact remains that our sport is damn hard, the Tour was invented as a stunt, and very tough (riders) have competed for a century and all looked for advantages, from hopping on trains 100 years ago to EPO now,” he said.